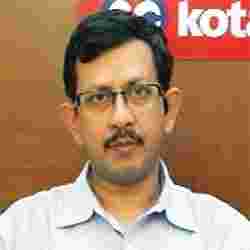 Wait and watch: Indranil Pan of Kotak Mahindra Bank. Is this the first nasty sign? Is this enough to push RBI over the brink, or do you think it will wait for more readings of food inflation before it takes any action? The second issue is that very specific items within food are actually moving up. For example, I really do not know what the movement this week was, but last week there was a significant rise in onions and potatoes, which in terms of a monetary policy can actually do nothing in trying to contain in terms of the price rise. But yes, the pressure is definitely there on the monetary policy to act at the moment. When most of Asia went into a crisis, they felt the pain, they came out of it learning some lessons. We seem to have gone through nothing. I mean, commodity prices are back to normal, real estate prices are back to normal, and a common man just can’t buy anything. Shouldn’t RBI be thinking of the pressures this kind of monetary inflation is causing out there to common people and perhaps do something about it, which is put the brakes on this right away? I think we are talking different languages here, in the sense that if you are referring to the asset market, yes, there could be some pressures over there and, therefore, in terms of handling. The asset market prices need a totally different policy atmosphere than what we are talking about in terms of onion and potato prices, and maybe even sugar prices, which is still looking like more of a supply-side phenomenon. That is the issue that we really need to look at.